Two months ago we reported about a controversial new immigration form that foreigners seeking to extend their visa, do a 90-day report, apply for a re-entry permit etc. had to fill at the immigration bureau in Bangkok. The detailed information required by Thai immigration – all in the name of “national security” – included their bank account details, social media accounts, places they frequently visit and more. 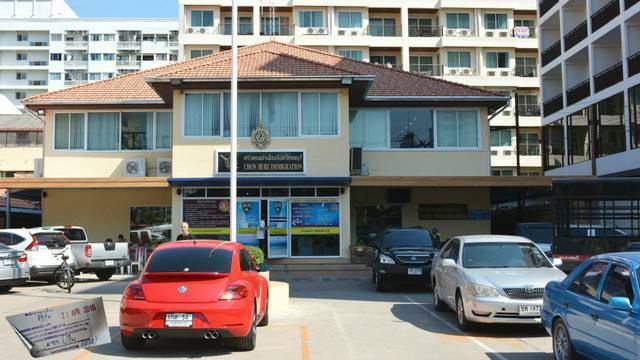 As it seems, the new so-called “Foreign National Information Form” is now being rolled out nationwide and has also arrived at the Chonburi immigration office on Soi 5 in Jomtien which is responsible for tourists and expats in the Pattaya area. It remains unclear whether it will be “mandatory” to fully complete the snoopy new form and whether disclosing your personal Facebook account details, Thai bank account number etc. is ultimately “necessary.” As it appears, disclosing your bank information, social media and email accounts will be only “optional” or depend on the type of visa you’re holding.